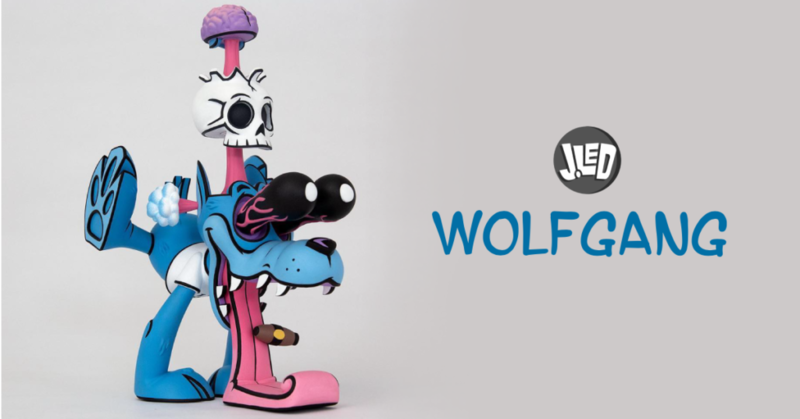 Meet Wolfgang by Joe Ledbetter x Bigshot Toyworks x Dave Bondi! He’s gonna huff, and he’s gonna puff! Meet Wolfgang, the new resin creation from Joe Ledbetter. Brought to life by a team of amazing sculptors with the final critical sculpt by Dave Bondi, Joe has been working with Bigshot Toyworks on this new 10.5inch resin release. You’ll be able to check out Wolfgang, and everything else that Joe is bringing to DCon, at Joe’s booth #2211. Please note that this will only be the painted sample at this stage. Pre-order is coming soon, perhaps even during DesignerCon but no additional details are available at this stage. We’ll bring you more details once they are known. Check out Ledbetter on Instagram HERE.